The psychedelic horror title we talked about a couple of weeks ago has hit Early Acess on Steam. 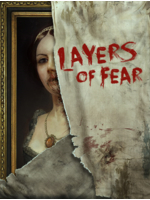 Layers of Fear plunges you into the mad mind of a painter who whish to finish his magnum opus. 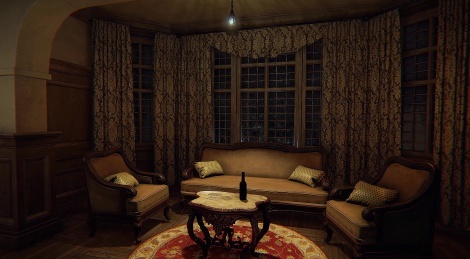 The art and graphics look outstanding (apart from the aliasing and frame-rate), really creepy atmosphere love the decor and furnishings and the modified artworks. and it looks like the gameplay will be scary and interesting also. Looks like it would be good on the rift, but will probably have to have a graphics downgrade to run at 75fps on it. This game is really good so far. The atmosphere is spot on, reminds me a bit of the silent hill PT. I didn't have any problems w/ performance but am running on sli 980's. The game is currently in Early Access so its still probably awaiting optimization so YMMV. One annoying thing was it didn't have the option to invert Y axis for controller or mouse. You can edit the controller xml files to make it work but its another sign of how early the game is. on a gt980ti overclocked ive had to run it at 1440p instead of 4k to get a consistent framerate over 60fps, but dang does it look great. The atmosphere is spot on too, looking forward to the development.